Old-to-New-School: A Conversation with Vernier Science | Clarity Innovations, Inc. The interview continued in this vein: candor, humor, and nostalgia from two “accidental” company founders who have been bringing science to life for 37 years. 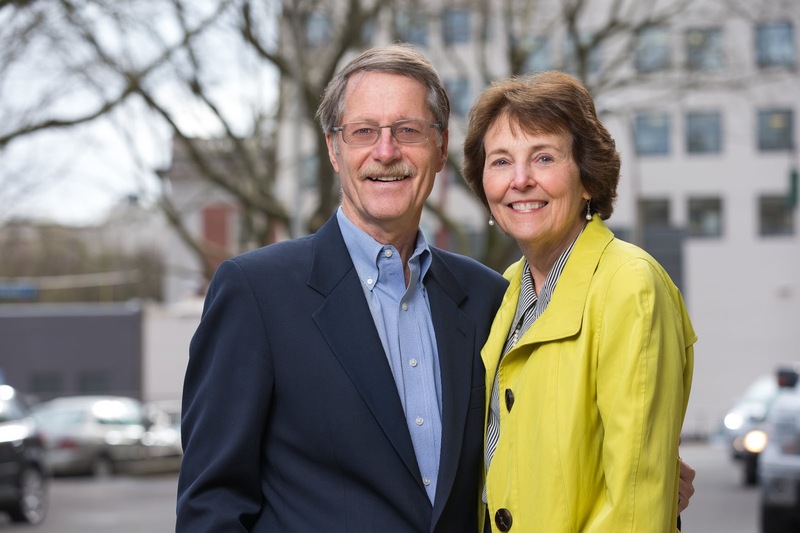 Titles aside—they did indeed appoint a new CEO in 2015, although they both still work six days a week—the contribution that the Vernier’s have made to science classrooms around the world is undeniable. Believing in the power of computers before most classrooms had them, Vernier hardware is now a mainstay in science labs everywhere and has continued to evolve as technology changes. Here are some highlights from our conversation. Dave: I started teaching at the time when computers became available to mere mortals. Computers were game-changing! Just doing a demonstration and having a screen visible, instead of having one kid come up and tell the others what the temperature is. Taking measurements with a computer, doing simulations… we still believe to this day the best way to learn science is by doing labs! Chris: So we put an ad in the journal, for $35, our programs were available by diskette. We sold some, and this would be a little part-time job. People kept buying it! Unlike other content areas in schools, science has been more open to using tech in the classroom. What is the key to an engaging science classroom? Dave: It’s all about the kids doing hands-on investigations, seeing what you get. Dave: You don’t have to know everything; you just direct the process. When you look back, is there anything you would do differently? Chris: …we wrote software for the Commodore 64. Dave: Hey, it was 1985! Your sales model is very different than other companies; can you share more about how it works? Dave: I’ve never taken a business class. This has been totally done by the seat of our pants. Why in the world would we hire salesmen? I made stuff and tried to sell it! If they bought it, great! Chris: Our tech support staff are almost all former teachers. We built this company based on “if you treat teachers well, they will tell other teachers.” The word spreads quickly and that’s how we sell. We also go around the country where we do free workshops. Again, it’s not a salesperson; it’s a former teacher who has used our equipment giving these workshops. What do you see ahead, besides funding, of challenges facing schools? What areas need the most attention? Chris: Training teachers. They have so much on their plate. We’ve worked hard on having free webinars and videos on our website. What is the one question I didn’t ask you that you wanted to answer? Chris: —it would be about you. I guess the question would be when the hell are you gonna get out of here? We’re 70 years old! But we’ll do it as long as it’s fun. I think we’re making a difference for students and teachers. …and we might take Tuesdays off. One of my personal takeaways from the conversation with the Verniers? Making a difference for educators doesn’t require being in Silicon Valley or having venture capital investment. It’s about making a commitment to provide an excellent product to educate every child, while caring about how you organize and grow your team. It’s encouraging to learn of other founders that share these values as much as we do here at Clarity Innovations.